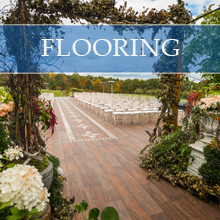 MADE TO BE INSTALLED EITHER INSIDE OR OUTSIDE, OUR SELECTION OF DANCE FLOOR OPTIONS INCLUDE HIGH-GLOSS WHITE, RUSTIC WOODEN PARQUET, AND EVEN THE ICONIC BLACK-AND-WHITE CHECKERED FLOOR. 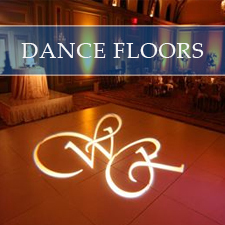 Our dance floors can be installed in any shape and size and are sure to accentuate your dancing space for any event. 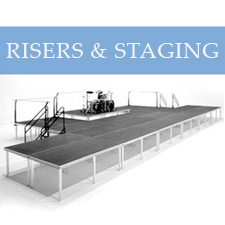 Staging is a perfect solution to elevate the band, a head table or a runway for a fashion show. 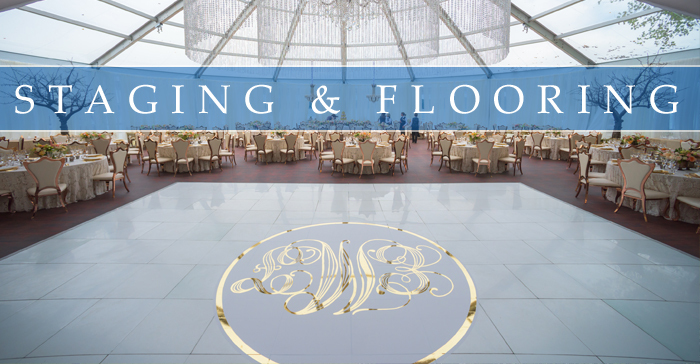 Our staging can be built to accommodate any shape and size as well as your desired height of elevation. Stairs with or without handrails and side railings are available as well.